The First Dubai Translation Conference was recently held at the Mohammed Bin Rashid University of Medicine and Health Sciences. Both the Emirates Literature Foundation and the Dubai Executive Council put this conference together. One of the main goals of this conference was to help professional translators in Dubai better understand how to bring their work into the 21st century. Since Dubai has become such a world-renowned center for global business, travel, and education, the demand for quality professional translators is at an all time high. Not only are translation agencies today tasked with giving accurate translations from Arabic to English, today professional translators in Dubai need to use a wide variety of skills to make their translation projects resonate with the globalized age. This means hiring localizers to understand regional dialects, outsourcing work to fluent speakers of other languages, using the marvels of modern technology to develop multimedia productions, and creating huge lists of reputable contacts that can proofread, edit, and translate in a wide variety of languages. A few of these issues the modern translator faces were touched upon in the conference’s keynote address. Sheikh Nahyan Bin Mubarak Al Nahyan, who is currently a minister of the Culture and Knowledge Development in the United Arab Emirates (UAE), delivered this address. Sheikh Nahyan told the crowd of attendees that professional translators have no better place to discover how to go about translating in the contemporary world than Dubai. Dubai is a great mix of various different people with different dialects and cultures. Dubai is also a wonderful blend of both rich Muslim tradition and secular industrialization. Translators nowadays, he said, need to learn to navigate these two powerful forces in their work. The importance of distinguishing between cultural roots and technological progress may be the main reason why Sheikh Nahyan advocated for all translation to be done using the human ear. Although computers are great for efficiency and for storing data, Sheikh Nahyan said that electronics can’t sense the cultural heritage pulsing through a language like Arabic. In his address, Sheikh Nahyan actually called out Google Translate and other translation engines as being poor substitutes to “human translation.” The main problem with computerized translators, Sheikh Nahyan said, was that they inevitably fail at bridging the cultural gaps between peoples. Instead of being merely a decoder of words, Sheikh Nahyan sees the translator as a cultural bridge builder. Language is not passive for Sheikh Nahyan. Rather, language is dynamic. Language builds worlds. Language builds bonds. This is why Sheikh Nahyan stressed how important it is for translators to research and work to preserve the locals’ cultural identity. Technology has the potential to erode cultural ties if humans allow it to push forward unrestrained. Sheikh Nahyan believes we can avoid this harmful effect of technological progress by encouraging professional translators to study local cultures, histories, and dialects. Well-trained translators can effectively protect the humanistic treasures of culture from being swallowed up by the purely quantitative translation of the machine. This will go a long way to helping Dubai preserve its deep Arabic roots even as it advances technologically. Sheikh Nahyan believes that if professional translators can look at language not merely as a set of phonemes and characters, this will be a step in the right direction. Instead of viewing language just as a collection of words, Sheikh Nahyan suggested seeing languages as webs held together by particular cultural contexts. If translators keep culture at the center of their mind, Sheikh Nahyan thinks they will be able to safely bring all cultures into the globalized age through what he called a “cultural turn.” Sheikh Nahyan went on to discuss how Dubai is actually a great symbol for how translation will be done in the globalizing age. Since there are so many different peoples in Dubai, everyone at some point had to act as a “translator.” It is the task of the professional translator, however, to understand the nuances of language and better adapt his/her own work to convey the cultural contexts of whomever they are translating. 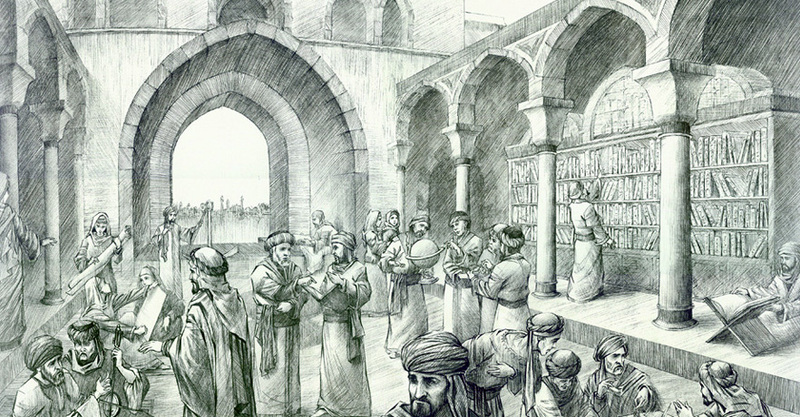 As an ideal for translators today, Sheikh Nahyan held up the example of the Islamic “House of Wisdom” in Baghdad that was founded by Caliph Harun al-Rashid, the fifth Abbasid Caliph who ruled from 786-809 AD. This “House of Wisdom” became a major cultural and intellectual hub for Muslim, Christian, and Jewish scholars. These scholars spoke various languages, including Farsi, Hebrew, Aramaic, Sanskrit, and Arabic, but they all got along and met with the goal of translating and preserving the ancient wisdom of the Greeks. The reason this school is so highly regarded in the Islamic Golden Age, Sheikh Nahyan said, was not only due to the fact that so many classic Greek texts on philosophy and science were preserved due to these translators’ efforts. The true reason the “House of Wisdom” continues to inspire us all is due to the tolerance and honest love of learning all these scholars from various traditions shared. Sheikh Nahyan hopes that translators today can take inspiration from these former scholars, and he hopes we can build a global “House of Wisdom” someday soon. In order to help translators out in this lofty task, Sheikh Nahyan announced various programs the governments of Abu Dhabi and Dubai are currently engaged in. The UAE as a whole, he said, is working towards creating a vast database of knowledge on the various local Arab cultures. 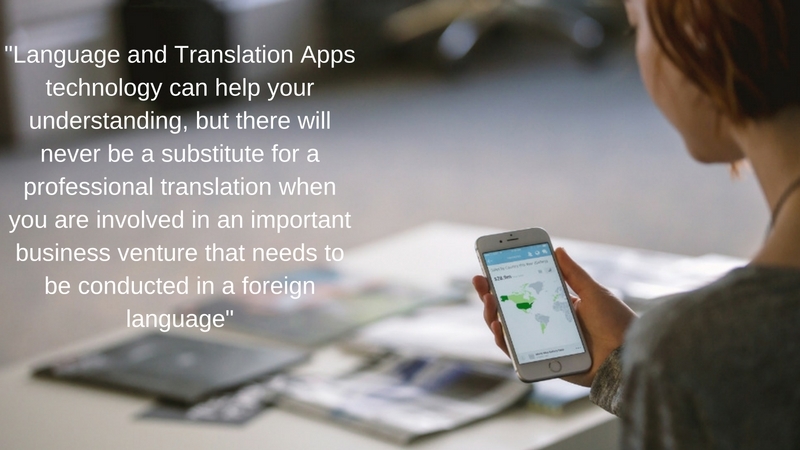 He hopes this information will help translators in their research efforts. Sheikh Nahyan is also keen to make important cultural works in Arabic readily available to readers around the world. In addition to Sheikh Nahyan’s keynote speech, some very interesting statistics on Arabic were actively discussed during this conference. Abdulla Abdul Rahman Al Shaibani, the Secretary General of The Executive Council of Dubai, shared some startling statistics from the UNESCO’s Index Translationum. This UNESCO division, perhaps unsurprisingly, ranked Arabic as the fifth most spoken language on the globe. However, this UNESCO list also said that Arabic was only in 17th place for original language translation (which means translations from Arabic into another language), and 29th place on a list of 50 target languages for translation. The top five target languages from number one to number five were German, French, Spanish, English, and Japanese. Many organizers said that these statistics were a major impetus for creating this conference in Dubai. With reference to these figures, Al Shaibani said that there is clearly a lack of professional translators of Arabic on the market nowadays. On the other hand, Al Shaibani was excited by the great opportunity for investors in translation agencies. He encouraged more investing in popularizing Arabic translation services in Dubai. Al Shaibani also told attendees that he was excited by how translation of Western texts has helped students in Dubai explore some of the world’s greatest literary treasures. He told the conference members that many students in Dubai now have the opportunity to study Shakespeare’s great tragedies in school. Since such great translations are now available of his major texts, students are able to explore the riches of Shakespeare’s unforgettable psychological portraits of Hamlet, King Lear, Macbeth, and Othello. Al Shaibani thinks that this is not only great for helping explore the depths of human psychology, but it is also a great way to introduce other cultures to students. Al Shaibani closed his speech by saying that good translation is the key to building long lasting relationships between cultures. He told the audience that translation is the only way to destroy nasty stereotypes before they solidify in the minds of the young.